Remember your first resume? Kind of like your first credit application. You could not quite fill in all of the blanks. Your job as a paperboy or a babysitter was all you could list. You had a high school diploma and were working on your college degree. You could get a reference from your coaches and maybe a few neighbors. You could enclose a copy of your good grades if they wanted to see them. Close, but not quite. Excellent analogy! I cannot believe he even has the democratic nomination! Congratulations this post is now featured in Silent Majority of Active Rain. Excellent points Kevin and a wonderful way of looking at it. Apparently the community organiser camp doesn't understand the meaning of "irony" either as they go after a former mayor and current Governor! 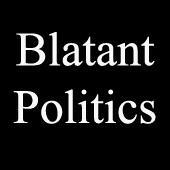 Congratulations this post is now featured in the Blatant Politics Group of Active Rain. ooooh Yeah! You know Jesus wuzth a community organiztttther too. He has quite a resume? Community Organizer who just happened to be in accord with ACORN and the cause of the financial crisis. John - great analogy! Nicholas has a good point about ACORN. Stanley Kurtz has been doing a lot of work on this and there's much more to it both with ACORN and William Ayers. Community organizer = Riot inciter? I'm praying that community organizer does not become my son's commander in chief. What a resume???? I'm still scratching my head wondering how he got in the position to run for the highest post in the land. He may be revered as a humanitarian some day, but president of the United States?